Whether your adventure is in the cobble-stoned streets of Europe, the beaches of South East Asia or the crazy streets of Manhattan, there are some items you don’t want to leave in your hotel room. But even if you’re traveling light, or are doing one bag travel, you don’t want to lug around your main pack during your day-to-day excursions. This is where an ultralight day pack comes in. Weight and packability are important considerations in a good daypack, but you also need to figure out what features are important to you. Because they need to pack down into your main luggage, most daypacks don’t have any structure, or a lot of compartments. Sometimes, you might get around the lack of structure by adding a panel organizer such as the Grid-it tech panel which can help give a bag some structure, or you could add a jacket or sweater to act as ballast. Maybe your hotel or AirBnB doesn’t have a safe where you can leave your valuables, and you need to carry around your tablet or laptop, so you might need something with a sleeve or pouch. Regardless of what you want to carry on a day-to-day, you want a pack that can easily be stored inside your primary bag or luggage, but still has the features you’d find in a regular backpack. You don’t want to just grab whatever bag you can find. Having a reliably day pack is a definite win-win in any travel situation. It doesn’t take up much space or weight in your main luggage, but it’s also insanely useful for those on-trip excursions. Did too much shopping or accidentally purchased too many souvenirs? They can also work as a great overflow bag, and can easily serve as your personal item (under-seat bag) on the plane. If you want something as small as possible and as light as possible, this is what you want. This is your prototypical day pack – it’s ultralight, and made of ultra-thin rip stop nylon. But what we love about the Osprey Ultralight Stuff Sack is that it keeps things as simple as possible, while still adding some nice touches. There’s a simple logo on the face of the pack, and some branding on the strap, but otherwise, it doesn’t draw too much attention to itself. There are two easily accessible stretchy side pockets for your water bottles and a quick access pocket on top of the bag. The straps are air-mesh, which helps a lot with airflow, especially in hot and humid conditions. It has dual-zippers, with really nice zipper pull tabs, which is a really nice surprise at this price point. These zipper pulls are extremely useful, especially if the bag isn’t full, since there is practically no structure to this bag at all. You can shop the Osprey Ultralight Stuff Pack on Amazon. 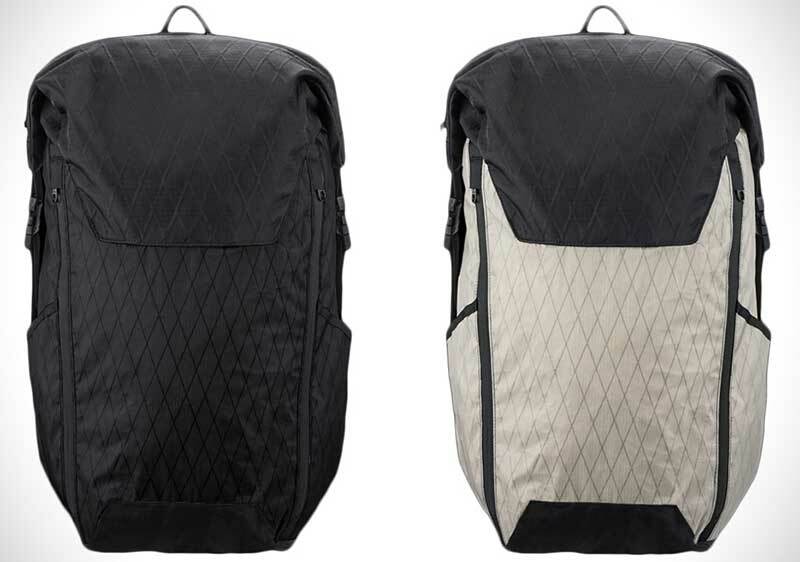 The Matador Daylight is similar to the Osprey bag above. It comes out very slightly heavier, and packs down to fit the palm of your hand. It’s has a slightly smaller capacity than the Osprey, and it’s also more expensive, but it has even less branding. Constructed with high quality Cordura fabric, this bag is ultra lightweight, but also very slash proof and abrasion resistant. But what really sets this pack apart from the Osprey above is that it is extremely water resistant. Most packable daypacks have some form of water resistance, but can’t withstand a heavy downpour. 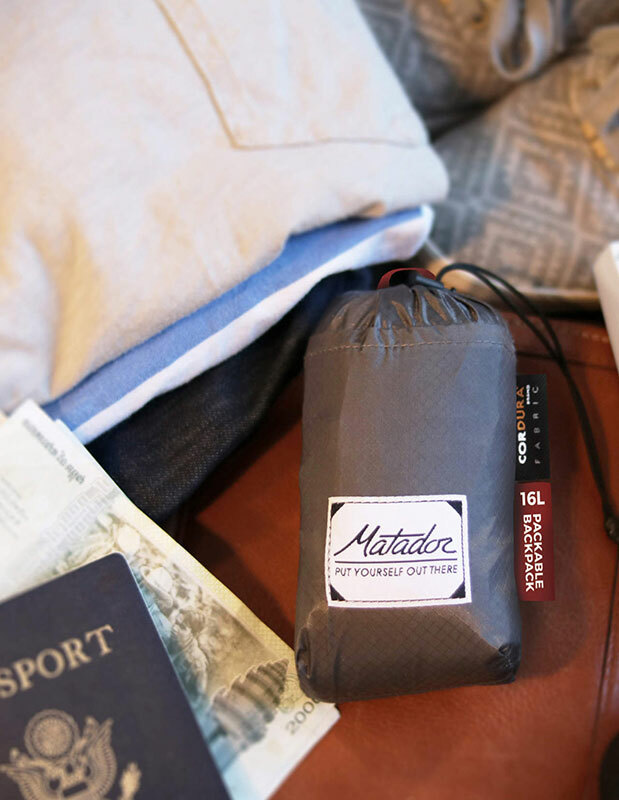 If you wanted something that can really stand up to the elements, you typically needed to get something that wasn’t quite packable (see the Triple Aught Design Azimuth below) – but the Matador Daylite is fully weather resistant (with weather sealed zippers) and can pack down really small. You can even throw this thing into a jacket pocket. Similar to the Osprey, the straps are also breathable, and there are nicely-sized water bottle pockets on each side. Matador also makes two other packable daypacks – the Matador RainFree 24 and the Matador Beast28 – but the Daylite 16 is our favorite, and we think it offers the best value. You can get the Matador Daylite on Amazon or from Matador. This is one of our favorite packs. With packable bags, the trade-offs are always between packability and features. Somehow, the Azimuth manages to get the balance right. While it’s not as packable as the Osprey and the Matador, it does still compress to about the size of a rain jacket or a medium-weight sweater. It’s still unstructured, but it comes with a bit more bells and whistles than the first two bags above. But at $120, it comes in at quite a premium over the Osprey or the Matador. The bag has two water bottle pockets on each side, with attachment loops to secure your bottles or to hold other gear. Main access to the bag is through the top water-resistant zip, but there are also two zippers running the entire length of the bag on each side. One leads to a very useful horizontal quick-access pocket while the other zip leads to the main compartment. If weight and space aren’t at a premium (and price isn’t too much of an issue), the Azimuth is definitely worth consideration because it really achieves a great balance of packability and features. This bag is the most unusual in this list. It offers quite a bit more organization and it also has quite a bit more structure than the others. That means it doesn’t really pack down as small as the other bags, but it can fold flat inside your suitcase or your main bag. If you only want to carry the essentials on a day trip, this is the perfect bag. This bag is SMALL. Let me repeat that, this is a SMALL bag. Now you know why it’s called the mini. It’s great for shorter or petite people. But it can work for anyone who wants to travel light, yet isn’t willing to give up the structure, features and organization of a regular bag. It’s more than enough to carry the essentials – rain layer, snacks, sunglasses, sunscreen, hat, camera, quick-dry beach towel, etc.. plus whatever souvenirs you grab during the day. 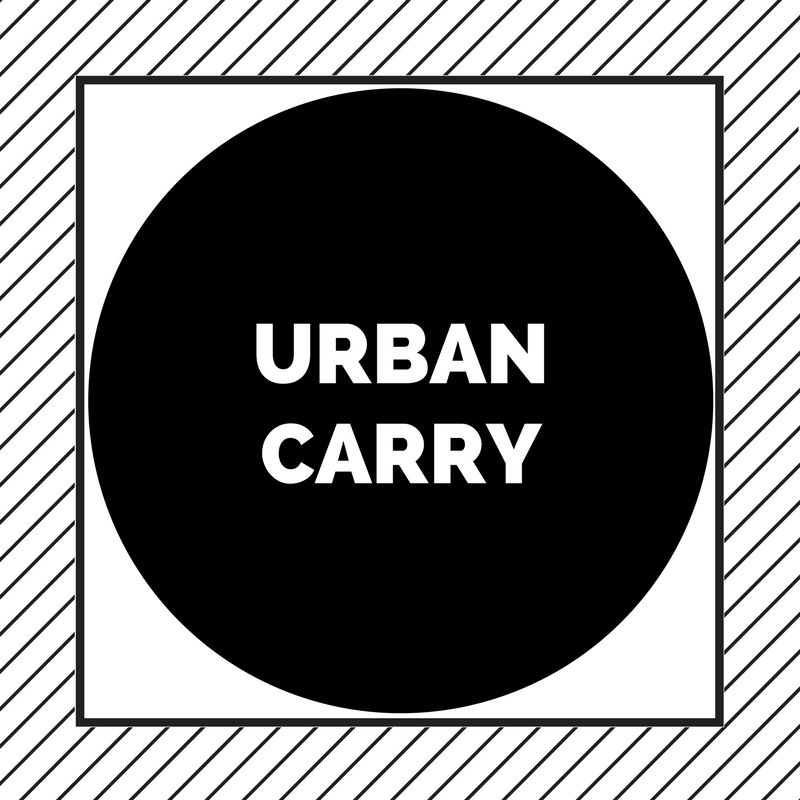 This also the most fully featured pack on our list – aside from the usual bottle pockets, it has dedicated internal pockets for your pens, wallet and other small items, it has lockable zippers, a tablet pouch, a passport sized RFID blocking pocket, and even a front loop for a bike light. 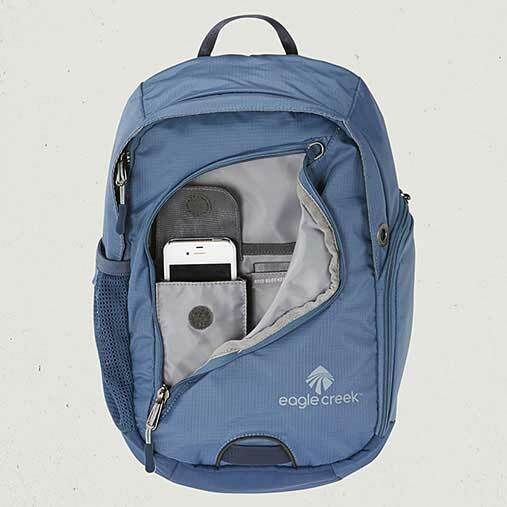 Eagle Creek also make a separate packable series of bags: the Eagle Creek Packable Daypack, the Packable Tote, the Packable Duffle, and the No Matter What duffle, but we do prefer the Travel Bug Mini for daypack use. 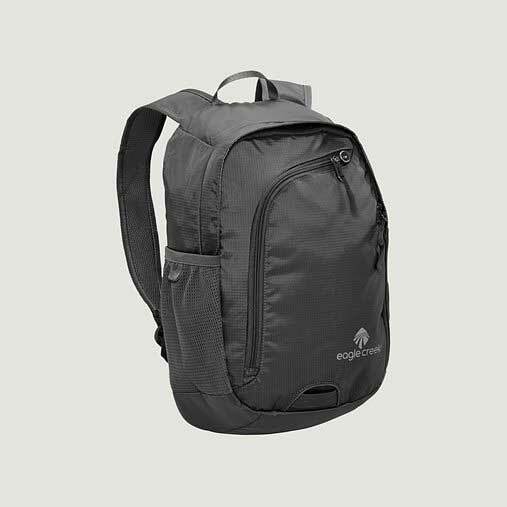 As long as you’re not 6 foot or taller or don’t need to carry a ton of stuff for short excursions, this small pack can be a nice upgrade over the typical unstructured daypack. You can get the Eagle Creek Travel Bug Mini from Amazon. Coming in at 17 liters, this light weight pack from The North Face is one of the most versatile packable daypacks we’ve ever seen. Just like its name suggests, The North Face Flyweight is a mere 6 ounces or 170 grams, and packs into its own zippered pocket when not in use. When you deploy it, you get a near full featured pack that is ready to take on the trails or any urban adventure. The bag arrives folded into its own pocket, and is going to be quite a bit wrinkled when you first unfold it. But once you start filling it up and stuffing it, all the wrinkles will start to work themselves out, so don’t worry. The material is thin, but it doesn’t feel cheap, and it definitely feels durable. 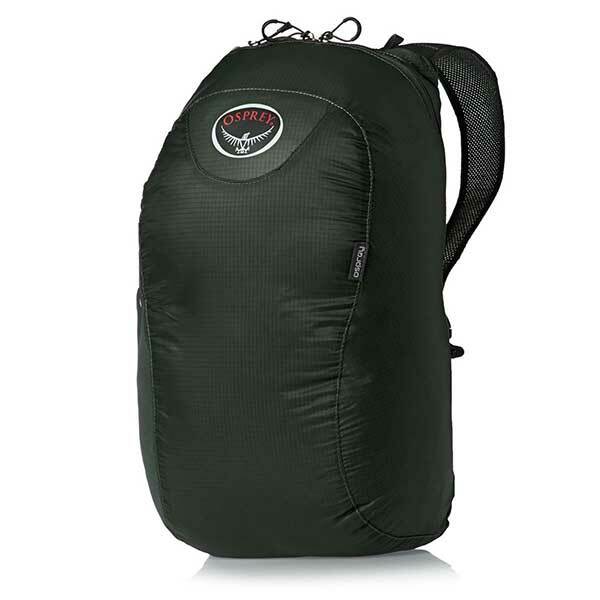 It’s not going to replace a real backpack, but if you need a good sized daypack or emergency overflow bag that you can easily store and won’t take up a lot of space in your main luggage, this is a great choice since it folds up into such a small package. Despite being a lightweight pack, it does not skimp on features. You get water bottle pockets on each side, and they’re not an afterthought either, they do a really great job of holding on to large and small bottles. The outer face of the pack features a nice, quick and easy stuff pocket, perfect for quickly stowing your layers, beach towels, a book or magazine, or anything that you want quick access to. The only downside is that this outer pocket isn’t a zip pocket, but is instead secured with a simple hook closure. It’s not a great pocket to place something you want to keep ultra-secure, but it’s great for quick access/quick storage. The pack also features mesh shoulder straps for added comfort and airflow. On the inside, you get one medium sized zip pocket (the same one you use to store the bag in when not in use), but otherwise, there is no other internal organization. It’s not great as a main backpack, but as a secondary packable daypack that doesn’t take up a lot of space when stored, it’s hard to beat the North Face Flyweight. 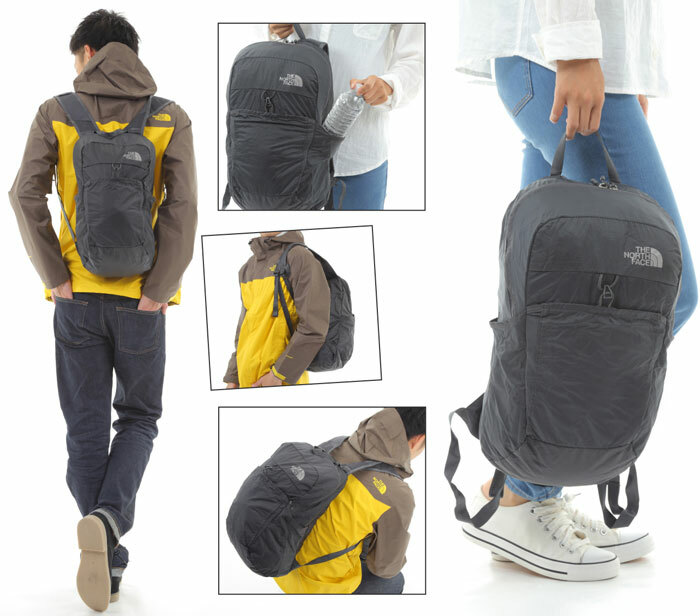 It’s like a fully featured pack, but made with a durable, but thin and packable nylon. 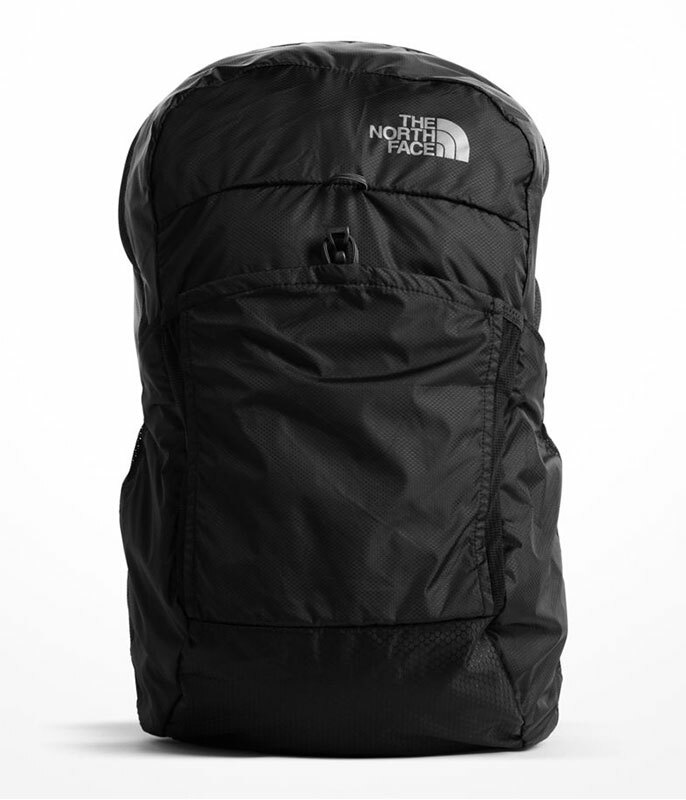 You can shop the North Face Flyweight Backpack on Amazon.